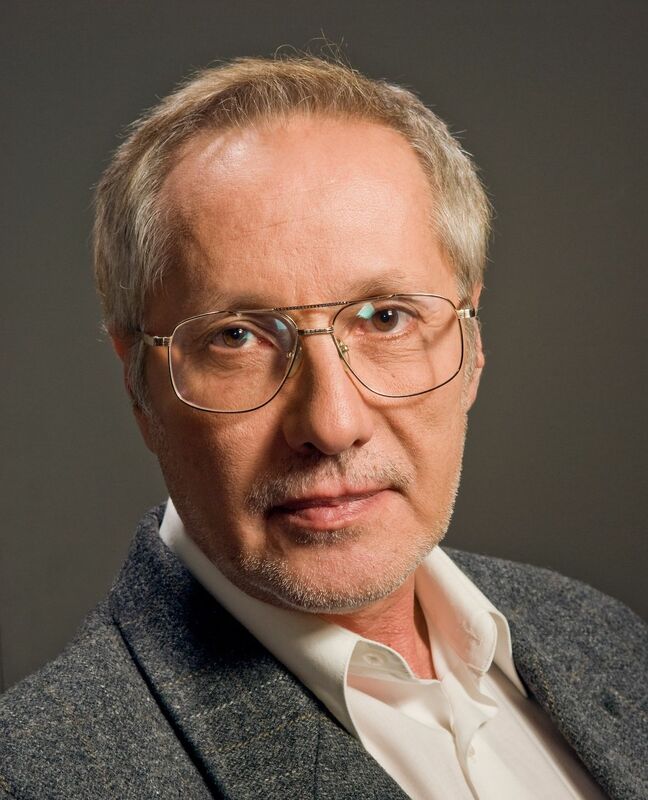 Leon Podkaminer’s monthly forecast of GDP growth and consumer prices in Poland turned out to be the most accurate ones among leading forecasters for Central and Eastern Europe. Today, the London based economic survey organisation Consensus Economics announced the recipients of its 2016 Forecast Accuracy Award (FAA). The FAA programme recognises the achievements of economic forecasters who have most accurately predicted the performance of GDP growth and consumer price inflation in their target economies for the year 2016.
wiiw Senior Economist Leon Podkaminer won the Forecast Accuracy Award. His monthly forecasts for GDP growth and consumer prices in Poland turned out to be the most accurate ones. To determine the accuracy of a forecast, Consensus Economics examines the monthly forecasts it receives over the whole year from over 700 economists from leading banks and economic research institutes around the world. A ‘Mean Absolute Error Analysis’ is used to compare these forecasts to the actual economic outturns. The forecaster with the lowest average error rate is deemed to having provided the most accurate forecasts in the respective period. Consensus Economics measures experts’ expectations and establishes consensus values thereof. These ‘consensus forecasts’ are seen as macroeconomic benchmarks by investment and planning managers, as well as government and public sector institutions. 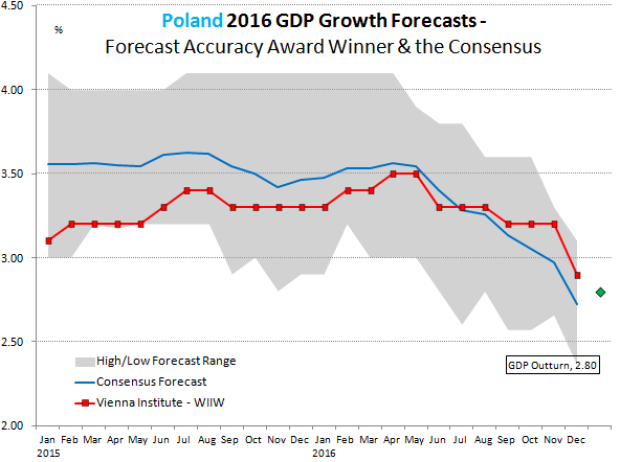 Leon Podkaminer’s most recent economic forecast on Poland sketches a sound development for 2017 and 2018. The economy is expected to grow at a respectable pace, provided the institutional changes imposed consider more carefully the needs of the business sector and the limits to what can be achieved through administrative regulation.